Funko Pop Captain America Mug | Nerd Much? After that incredible Captain America: Civil War trailer we were blessed with earlier this week, we can’t seem to get enough of the Captain. So when we came across this Funko Pop! Captain America mug, needless to say we were stoked. 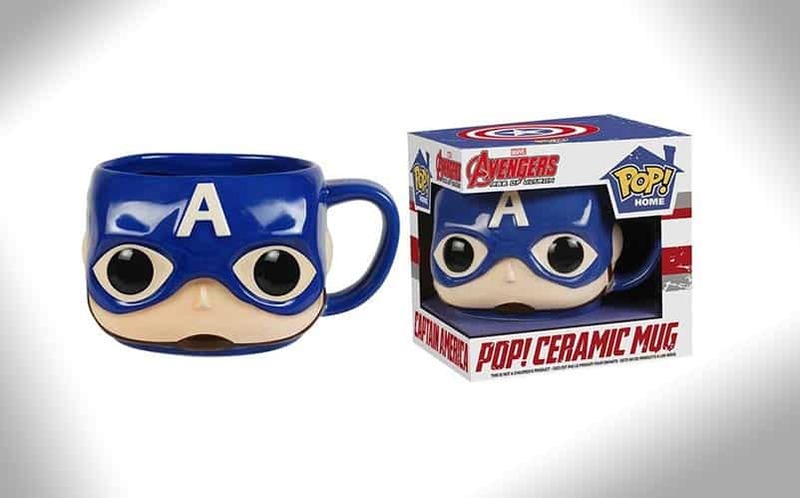 In fact, somehow, we’ve embarrassingly gone on existing all this time without knowing that Funko takes a break from vinyls once in awhile to craft mugs. Cool. This 12oz ceramic mug is perfect for any Avengers collection, and it’ll make your morning cup of coffee even stronger. We’ll also note that there are other Marvel-themed Funko mugs, including Spider-Man, Iron Man, Hulk, and more. Oh look, there’s us falling down the merchandising rabbit hole again! For more ridiculously cool nerd stuff to buy, stay tuned to Nerd Much for daily updates.